The Open Source Initiative will celebrate its 20th Anniversary in 2018. In the true open source spirit, the organization will invite everyone in the open source community to participate. Raleigh, NC Oct. 23, 2018 — All Things Open Conference — The Open Source Initiative® (OSI), the global non-profit dedicated to raising awareness and adoption of open source software, announced today plans for the “Open Source 20th Anniversary World Tour” to run through 2018. Open source software is now ubiquitous, recognized across industries as a fundamental component to infrastructure, as well as a critical factor for driving innovation. Over the past twenty years, the OSI has worked to promote and protect open source software, development, and communities, championing software freedom in society through education, collaboration, and infrastructure, stewarding the Open Source Definition (OSD), and preventing abuse of the ideals and ethos inherent to the open source movement. 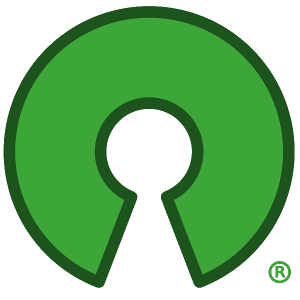 The “open source” label was created at a strategy session held on February 3rd, 1998 in Mountain View, California. That same month, now almost twenty years ago, the OSI was founded as a general educational and advocacy organization to raise awareness and adoption for the superiority of an open development process. To recognize this point in our shared history, the remarkable success of the open source software movement, and the inspiring fellowship of developers, maintainers, businesses and communities engaged in collaborative efforts across so many technology sectors, supporting just about every company and community, the OSI, in partnership with its affiliate members and sponsors, is organizing a global celebration to take place at a variety of open source venues worldwide throughout 2018. “The OSI's twenty year anniversary is a celebration of the open source software movement itself. We hope everyone who has helped to make open source software so successful will join us in celebrating code and communities,” said Patrick Masson, General Manager at the Open Source Initiative. As of today, the OSI has confirmed 2018 anniversary celebrations in conjunction with the leading open source conferences, as well as standalone community-led events, these include: All Things Open, Campus Party Brasil, China Open Source Conference, FOSDEM, FOSSASIA Summit, Linux.conf.au, LinuxFest Northwest, Open Apereo, Open Camps, OpenExpo, OpenTechSummit China, OSCON, Paris Open Source Summit, and SCALE16x. In addition to official events, the OSI is also supporting volunteer organizers in hosting local, community-led celebrations in their own cities. The Open Source Initiative (OSI) is a non-profit corporation with global scope formed to educate about and advocate for the benefits of open source and to build bridges among different constituencies in the open source community. One of the most important activities for the organization is as a standards body, maintaining the Open Source Definition for the good of the community. The Open Source Initiative Approved License trademark and program creates a nexus of trust around which developers, users, corporations and governments can organize open source cooperation. For more information about the OSI, see https://opensource.org.